Finish: Brass / Antique Brass / Chrome / Nickel / others available please ask one of our sales team for details. 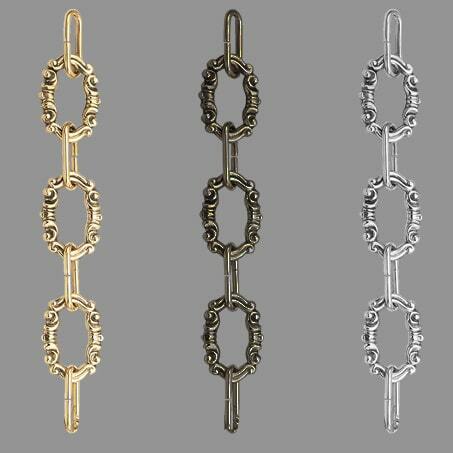 Lighting Chain Decorative C28 Brass. A large selection of different Styles in our Manchester Based Showroom Workshop. This is a large Heavy duty chain sold in 600mm lengths.